SAE International honors eight mobility engineering professionals with the 2015 James M. Crawford Technical Standards Board Outstanding Achievement Award. The award recognizes individuals for outstanding service in the technical committee activities of the Society. The award recognizes individuals for outstanding service in the technical committee activities of the Society. This includes valuable contributions to the work of SAE International technical committees, unusual leadership in the activities of an SAE International technical committee, significant contributions as a representative of the Society to the accomplishments of technical committees of other organizations or of government agencies, and outstanding contributions to SAE International technical committee work in the form of research, test methods and procedures, and/or development of standards. The James M. Crawford Fund was established in 1953 and honors James Crawford, who was SAE International President in 1945. In 2013, the award previously known as the Technical Standards Board Outstanding Achievement Award, was renamed the James M. Crawford Technical Standards Board Outstanding Achievement Award. 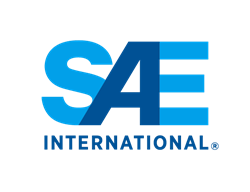 SAE International is a global association committed to being the ultimate knowledge source for the engineering profession. By uniting more than 137,000 engineers and technical experts, we drive knowledge and expertise across a broad spectrum of industries. We act on two priorities: encouraging a lifetime of learning for mobility engineering professionals and setting the standards for industry engineering. We strive for a better world through the work of our philanthropic SAE Foundation, including programs like A World in Motion® and the Collegiate Design Series™.